I remember seeing ads for a different kind of roleplaying game in some of my issues of Dragon Magazine. It claimed it was “Science Fiction Roleplaying in a more Civilized Time”. This was years before I would even hear the term Steampunk, and my gaming friends were content to keep any Science Fiction related roleplaying in the Star Wars universe. Another game, with a new system to learn, would have been asking a lot. So I never delved into Space: 1889 to see if it was something I might have liked. Fast forward to a few weeks ago, Egg Embry sends me the link to a few odds and ends which might work well with this “Steampunk Fridays” blog series I want to do. 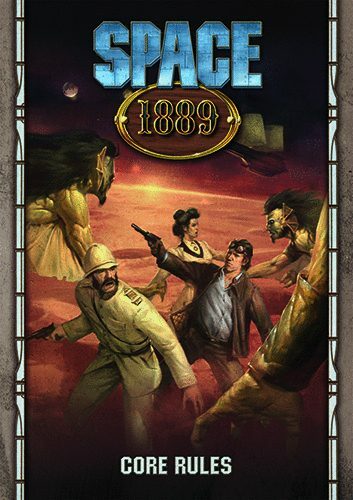 Among them is a link to the Space: 1889 FREE Quickstart Rules. So what the heck… I dove in and started reading. Take the best parts of John Carter, Warlord of Mars, a mix of the crazy-fun science fiction of Jules Verne and HG Wells, and top it off with some of the pulp stories from the 30’s and 40’s about adventures on other planets (before pesky real science ruined it for everyone). The Imperial nations of Europe decided to look to the stars to appease their appetites for materials for Queen and Country (or Kaiser and Country as the case may be). The Quickstart Rules provide the brief overview of the history of the settings. Then they give a breakdown of the various stats before unveiling an adventure to start things off. The first thing that really jumped out at me was the use of Dice Pools. Now, I’ve played the Vampire/Werewolf (White Wolf) games in the past where you roll a number of dice and each one higher than the number to beat is a “success”. The more successes the better chance you have to accomplish some task. 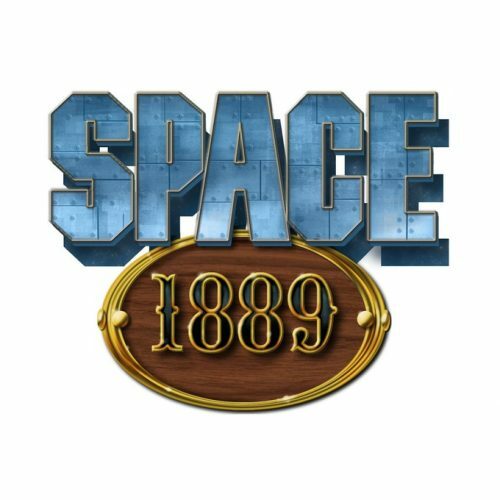 However, Space: 1889 takes it in a different direction. It isn’t a value you are trying to beat, but instead, you can use any dice as long as they have an even number of sides. When you roll, you are looking for how many EVEN numbers you rolled in order to determine your level of success. It is an interesting idea, effectively making it so every dice is a straight up 50/50 chance of being a success (and makes it very easy to know your successes in any situation). For those familiar with Dungeons and Dragons attributes, you’ll find a similar breakdown of Intelligence/Dexterity/Strength/Charisma/Body (Constitution)/Willpower (Wisdom). 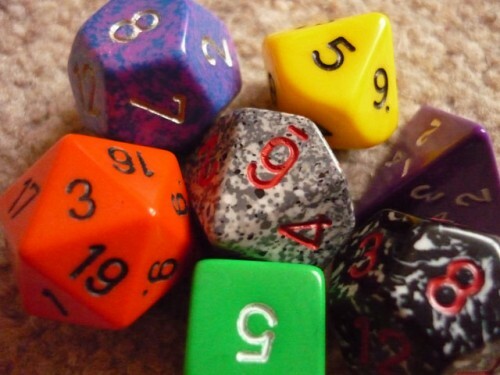 Which is another way of saying you can use these Style points (which you gain by roleplaying) in order to possibly upping your chance of successes by 1 dice per Style point or reduce damage against your character. I’ve seen this in other games, but the differing costs for their use feel like an interesting idea. Maybe you save them to more for protection against being hurt if you are down to your last few levels of health. Or do you burn through them quickly in order to end a fight (or another challenge) that much quicker? And while this is only an overview of the rules, it also includes a handful of pregenerated character sheets at the back of the PDF (Tracker, Inventor, Officer, Discoverer, and Xeno-Archaeologist). There you get an idea of other potential abilities your characters may have as well as Combat Maneuvers you can perform (ranging from “Aim” which increases your Attack at the expense of being able to move to “Total Defense” which increases your Defense at the expense of not being able to attack). From there you have aspects of an Indian Jones type story where you are not just there for treasure, but to really survey the ruins. For ongoing campaigns, you have a number of exotic settings: the deserts of Mars, the jungles (and lizardmen) of Venus, the middle section of Mercury, caught between eternal night and eternal darkness, Luna, and even the Asteroid Belt, a place filled with the potential for ruins and smugglers and pirates. There are battles to be fought with Martians, areas that have yet to have mankind explore, and seedy places best left off maps for fear of what you might find. For more information about Space: 1889 and the other supplements available, check out Clockwork Publishing.